I am not in the position to choose our project management software, and my current company has already used our current software for a number of years. 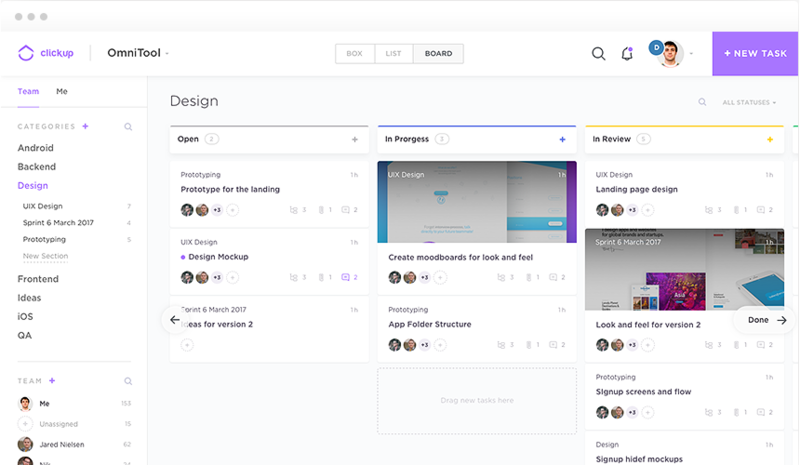 But if I were to ever use project management software for personal projects with remote team members then I think Projecturf would be a great contender for the job. ClickUp is the better choice over Asana and Aha! It has better visual appeal and reporting features. We switched from Asana and are very pleased with our decision. ClickUp's mobile app makes it easy to track projects on the Go, and it has a great user interface. ClickUp is really great to work in, day in and day out. User friendly system that has the level of needs that we were looking for. Improves the overall efficiency of the team. Allows team leads to ensure that all the loops on a project are closed. It helps meet project SLAs.